If in every great wine is enclosed a story, that at Coffele says first and foremost a love encounter, the one between Giovanna Visco and Giuseppe Coffele. Then tells of their passion grew over the years: for the land, for the vine and the search for excellence that has its roots in the tradition of the Family Visco, historic winery in Soave that already half of the nineteenth vinified their own grapes harvested Castelcerino, in one of the most suitable cru of the Soave Classico. 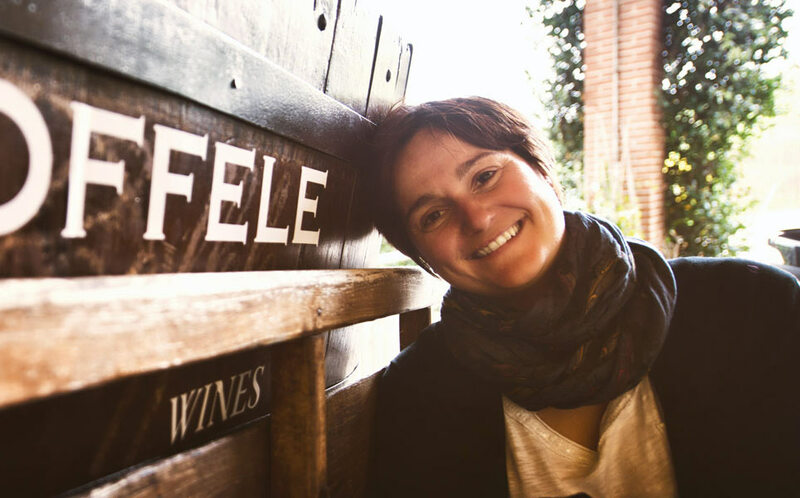 This story comes to date: the Coffele Estate is enriched by the presence of Alberto and Chiara Coffele, respectively winemaker and sales manager. “I define myself as a ‘young traditionalist’. Since 1994, with the supervision of my father “Beppino”, I personally take care of the production: from the choice of which root stock to plant, to when to start the bottling process”. Immediately considered “one of the most promising Veneto winemakers”, Alberto qualified from the prestigious Agricultural Institute of San Michele all’Adige and started his own career in the family business. He was only 30 years old when he proudly received the first major award for his work, the Tre Bicchieri [Three Wineglasses] for the Soave Classico DOC Ca’ Visco 2003, a source of great satisfaction for a wine dedicated to his mother Giovanna and his ancestors. 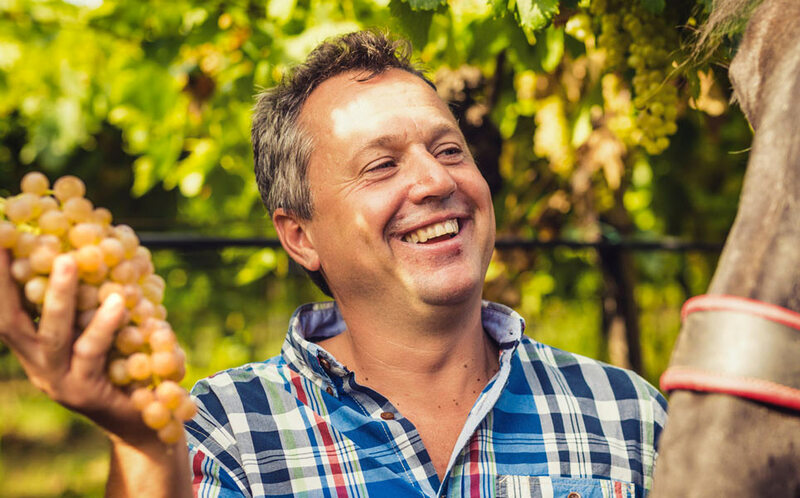 He received the same award in the two following years, a significant achievement but also a new challenge for a painstaking winemaker who every day takes care of each aspect from the ripening of the grapes to the winemaking processes. With one goal – getting the best out of the vineyards. “Since 2001 I ‘literally’ follow our bottles all over Italy and the world, taking good care of the public relations and the sales”. Chiara is the ‘commercial heart’ of the Estate. With a degree in foreign languages and literature in Bologna, with her communication and networking skills, she explains the characteristics of the wines to Italian and foreign customers. Thanks to her work, hopping from one plane to another, from Oslo to New York, the Coffele 130.000 bottles of wine produced are now appreciated by, and exported to, many different countries in the world. When Giovanna, the last heiress of the Visco family, married Giuseppe Coffele, she brought as a dowry around 25 hectares of vineyards located in Castelcerino in the Soave Classico zone. 1971 was the turning point. After many years spent restoring the vineyards, Giuseppe and Giovanna began to make wine and founded the Coffele Estate, following a passion which grew over the years. The Visco Family, indeed, produced the “Bianco Soave” with their own grapes already back to the middle of the 19th century, as evidenced by the chemical analyses published in the Gazzetta Chimica di Asti [Asti Chemical Gazette] in 1874. Giuseppe Coffele, first teacher and then headmaster of the High School in Soave Benedetto dal Bene, showed a great passion for the wine production and started looking after vineyards in his free time from teaching. Initially having no enological training, over the years he surrounded himself with people who could help and advise him with their expertise and experience in the vineyards. Many people such as Attilio Scienza, Mario Fregoni, Antonio Calò, Giovanni Cargnello and the many technical experts of the agricultural inspectorate of Verona and Veneto walked through vineyards in the Castelcerino. 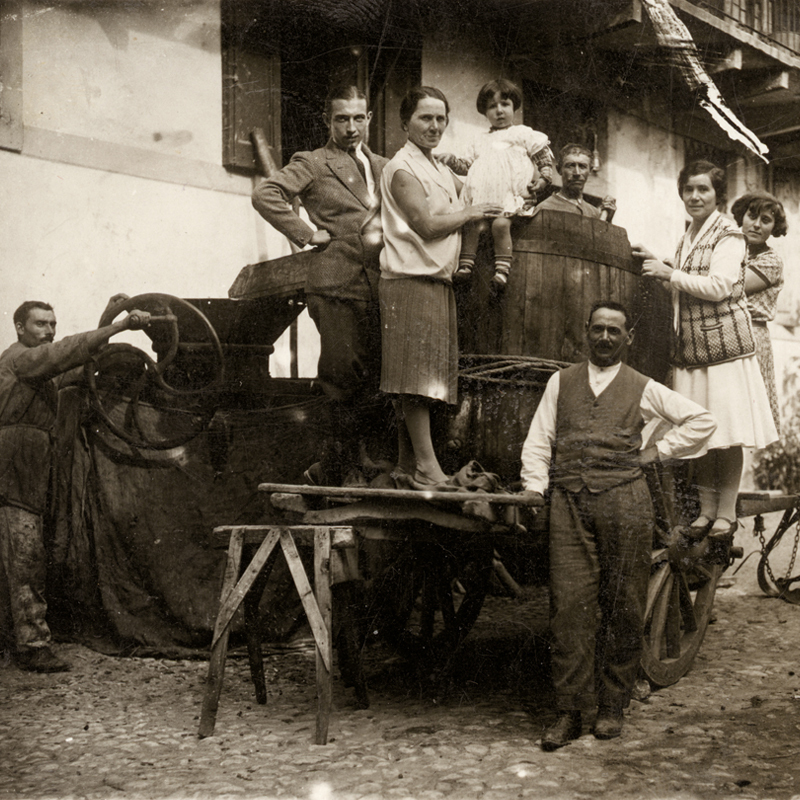 Professor Coffele had an open-minded, different and innovative point of view, which gave added value to the ancient winemaking tradition of Soave. 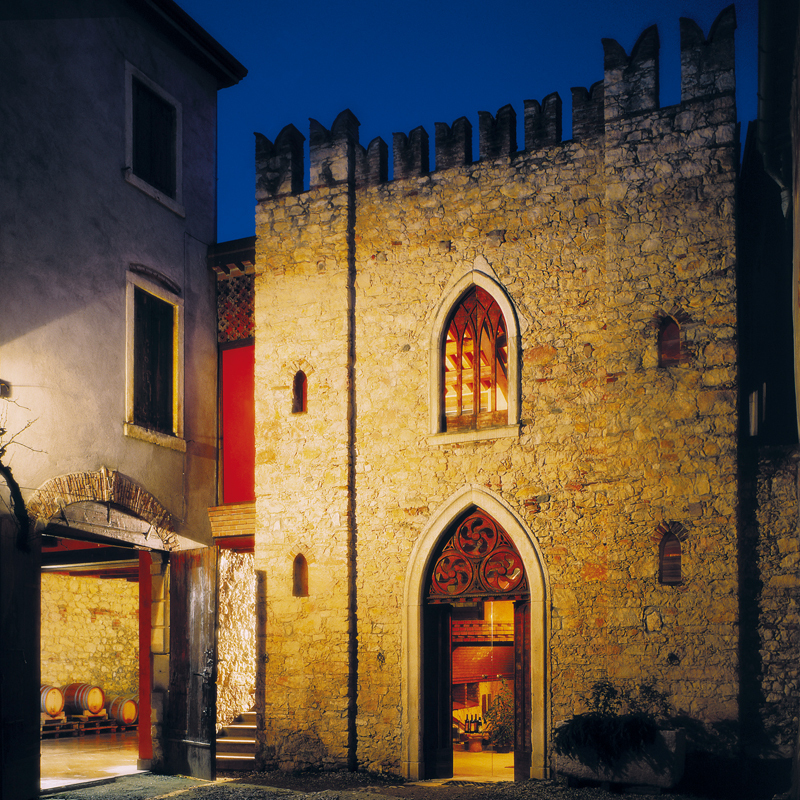 In the historic centre of Soave, behind an austere facade that recalls ancient traditions, there is the headquarters of a dynamic and lively Estate, managed by the siblings Alberto and Chiara Coffele. The chapel of the Visco-Coffele Palace, surrounded by an ancient courtyard adorned with an centennial wisteria, still retains the original walls and portal dating back to the 17th century. Here Professor Coffele, in the 90s, decided to extend the area with a hospitality room with a barrel-vault ceiling, to create a place to welcome guests to taste his wines. The room leads to the historic cellar where they were bottling quality wines already from the mid-19th century. The guests are also welcome to relax on the roof garden which, standing over the cellar, ensures to it natural temperature control. Alberto and Chiara would like to invite you to taste their wines in the winery situated a few steps away from the castle of Soave. It is a place steeped in passion for good wine, where every member of the family will welcome you with the same care and attention as shown to their wines.